DRAFT DETAILS.....Built circa 1790, this enchanting cottage is located in the heart of sleepy Herne being steeped in history with it's beautiful church, myths and stories of Smugglers living in the village. 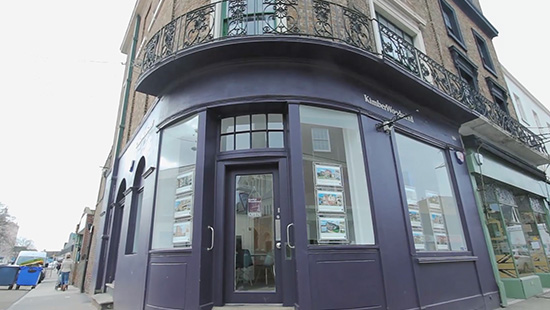 There is cosy accommodation on offer with original beamed ceilings, workable cellar now used as a reception room, sitting room, fitted kitchen and bathroom whilst to the first floor are two double bedrooms. There is a delightful enclosed rear garden enjoying a sunny aspect. Regular bus links into The Cathedral City of Canterbury and coastal Herne Bay completes the picture. Front entrance door, secondary glazed sash window to front, radiator, feature open fireplace with brickette surround, radiator, beamed ceiling, door and step down to the kitchen. Pine effect fitted floor drawer and wall cabinets, one and a half bowl sink unit with mixer taps, free standing range, wall mounted combination gas boiler, space for washing machine, ceramic tiled floor, built-in cupboard, latch door and staircase to cellar. double glazed frosted door to rear lobby . 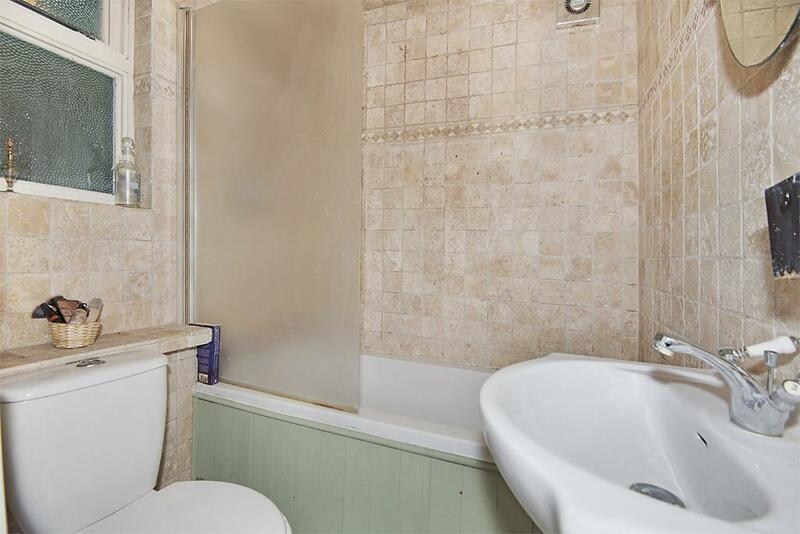 White suite comprising, panelled bath with Mira fitted shower over, low level WC, wash hand basin set in vanity cupboard, fully tiled mosaic stone effect tiles, inset spotlighting, radiator, ceramic tiled floor. 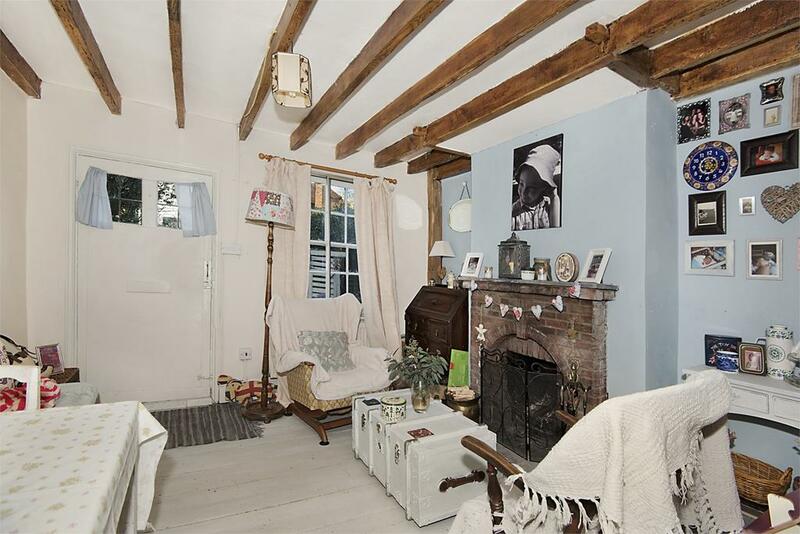 Workable and cosy room, originally the cellar having been carpeted, insulated and tanked out, original beams to ceiling, television point, radiator. Laid to lawn with patio area, outside tap, timber garden shed, access to the front. Pretty enclosed front garden with herbaceous shrubs and trees.